Dominic Raab, the Brexit Secretary, has faced some criticism after stating that he did not realise the importance of the trade route between Dover and Calais. After David Davis' resignation, Raab became the person that's mainly responsible for guiding the Brexit negotiations and his latest comments are slightly baffling. 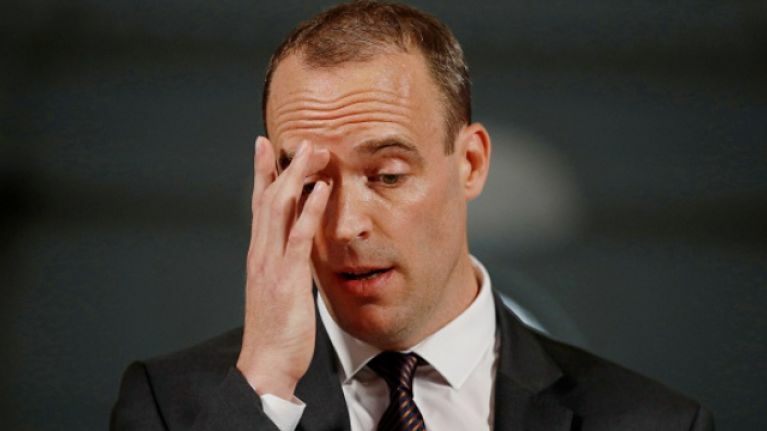 Speaking at a technology conference, Mr Raab admitted that he has only realised the importance that this trade route has in terms of getting food and medicine into the UK. He told delegates: "We want a bespoke arrangement on goods that recognises the peculiar, frankly, geographic economic entity that is the United Kingdom. We are, and I hadn’t quite understood the full extent of this, but if you look at the UK and how we trade in goods, we are particularly reliant on the Dover-Calais crossing, and that is one of the reasons why, and there has been a lot of controversy on this, that is one of the reasons why we’ve wanted to make sure we have a specific and very proximate relationship with the EU to ensure frictionless trade at the border." Alistair Campbell has described these comments as mind-blowing.